Stainless Steel 304 E-polished folding bracket. Quick release system for quick and simple fold. 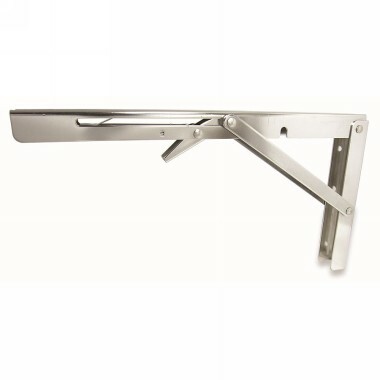 These brackets bolts to the bulkhead or any vertical structure and hinges outward to provide an extremely solid support for your bench or table. When you want to collapse the table you release a small catch and the arm folds back into the channel which is mounted.